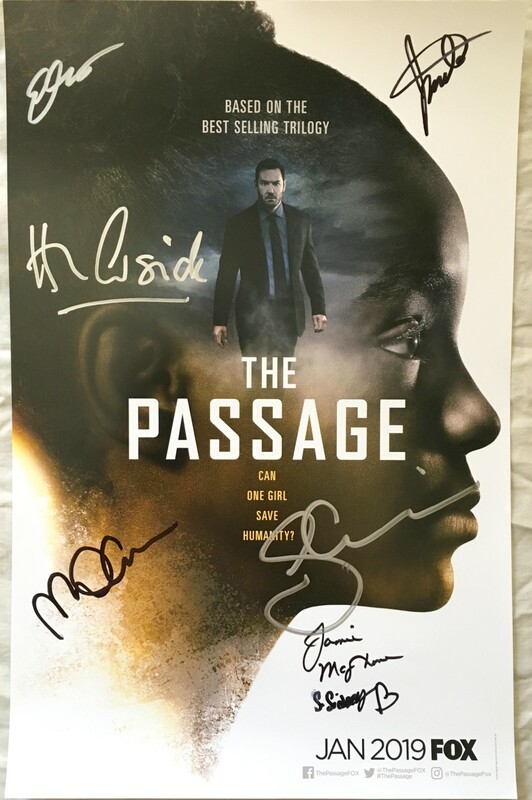 The Passage 2018 San Diego Comic-Con 11 by 17 inch poster autographed in black or silver marker by stars Mark-Paul Gosselaar, Saniyya Sidney (has tiny smudge), Henry Ian Cusick, and Jamie McShane; executive producer Liz Heldens, executive producer/ director Jason Ensler and author Justin Cronin. Obtained in person at very limited 2018 Comic-Con signing, with certificate of authenticity from AutographsForSale.com. ONLY ONE AVAILABLE FOR SALE.